Your 2019 One-Ounce Silver Wedge-Tailed Eagle has been graded by the Numismatic Guaranty Corporation (NGC) as being in flawless Mint State-70 (MS70) condition, a distinction that means your perfectly-graded coin will have ZERO imperfections – showing all features and fields exactly as the engraver and mint intended! In addition, your coin will come sonically sealed in an acrylic holder along with a label that has been personally signed by John Mercanti! 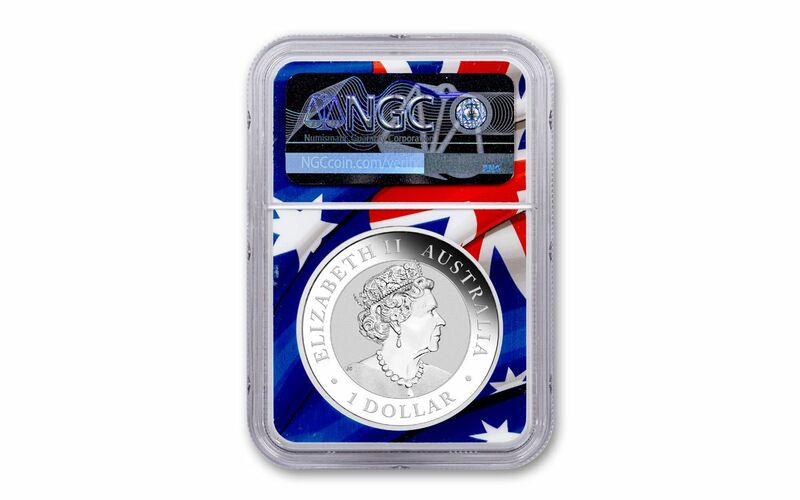 With a mintage of only 50,000 coins, you will need act fast to capture your 2019 One-Ounce Silver Wedge-Tailed Eagle. Since taking flight, this series has been immensely popular, so order yours now because these Eagles may not be around for long. Click one —or several – to your cart today! 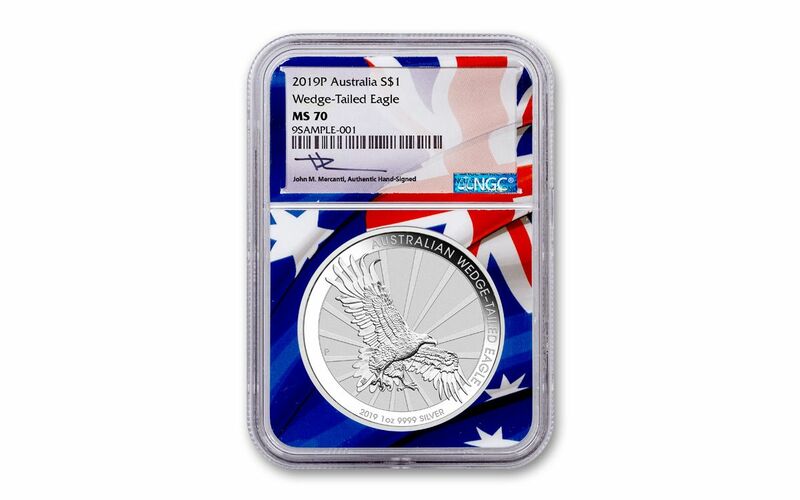 GRADED IN PERFECT UNCIRCULATED CONDITION – Your 2019 One-Ounce Silver Wedge-Tailed Eagle has been graded by the Numismatic Guaranty Corporation (NGC) as being in flawless Mint State-70 (MS70) condition, a distinction that means your perfectly-graded coin will have ZERO imperfections – showing all features and fields exactly as the engraver and mint intended! PERSONALLY SIGNED BY JOHN MERCANTI – Your coin will come sonically sealed in an acrylic holder along with a label that has been personally signed by John Mercanti!